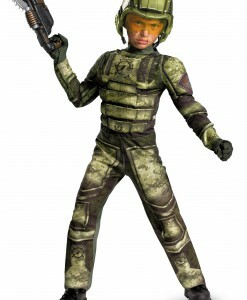 In tribute to Master Chief and his loyal fans, we offer a whole line of Halo costume ideas for Halloween. 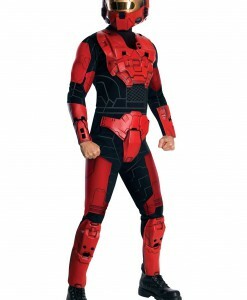 If you are searching for a high-quality Halo costume, then you have come to the right place. Do not worry: we realize that Halo is your favorite video game. 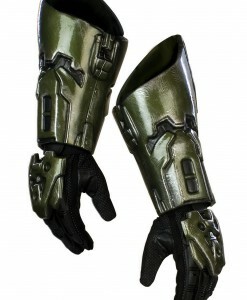 That is why we have as many hard-to-find Halo costume ideas and accessories as we possible. Remember to get a helmet and other armor to finish off your Halloween look. 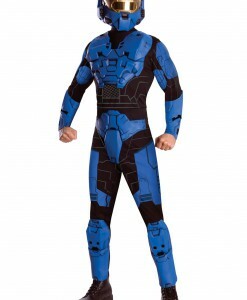 This Halloween, become a super cyber soldier in one of our officially licensed Halo costume ideas that come in sizes for both kids and adults. Master Chief, who fights for justice and all that good stuff, is the main character in the video game. So get a Master Chief costume to make all your enemies get scared. If you are going to create a perfect group Halloween costume, then our Halo costume ideas are perfect for you as long as we have them in sizes for everybody! For those who have a hard time differentiating between reality and video games, it will be a great time when you see your favorite video game character coming to life with our Halo outfits! When the intergalactic war comes to earth, it is time to do everything possible to save humanity! With our selection of Halo costumes, you can answer the call as a Blue or Red Spartan, or of course as the honorable Master Chief. 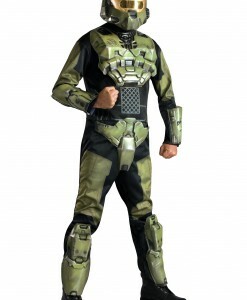 With our extensive selection of officially licensed Halo costumes, you can depict a super soldier and save the day. 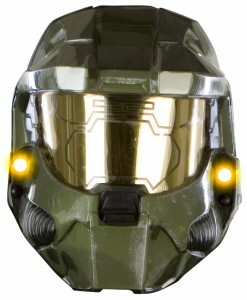 Get one of our Halo costumes, suit up, and prepare for an adventure! Not everyone gets excited about dressing up like vampires, zombies, monsters, and mummies for Halloween. Some people just look different. 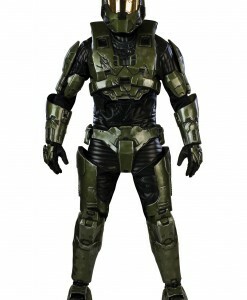 Our Halo costumes are the perfect choice for those who want to participate but are not going to go for scary outfits. Our selection of adorable Halo costumes offers a great chance to team up with your friends for some very funny Halloween photos. Our online store is the perfect place where all your costume and accessory needs are covered with free delivery anywhere in the UK, USA, and Canada. For more Video Game Costumes, browse our extensive selections of Zelda Costumes and Angry Birds Costumes, where you will find a wide variety of high-quality costumes to wear for the next Halloween party!